Hey guys! This week was good. Really busy in trying to organize everything for this week’s Mission Leader Council (MLC). We’re giving a different type of workshop and also creating a new training plan for the missionaries here. We are doing a lot more exchanges with missionaries now than the AP’s have done in the past so that’s why we’re so busy I think. But it’s fun. I hope you’re all doing well. We had some cool things happen this week. We’ve been able to help a lot of missionaries in a short amount of time (one week) so that was cool for me. It’ll be interesting to see where things go. 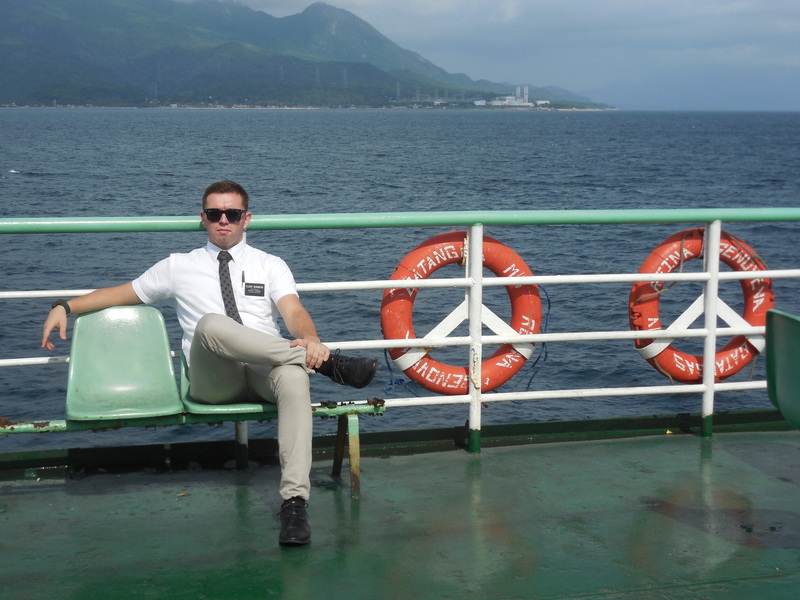 Elder Burbidge heading from Mindoro Island to Luzon for MLC. I like being in the office, but it’s hard not having a working schedule every day. I’m starting to see how much i enjoyed teaching and working and talking to people about the Gospel that has been restored to the earth. I feel kind of a lack here, just because we’re in the office a lot doing things that don’t seem directly related to the work, but in reality, support the work and give it a purpose. It’s a big blessing to see how the big scheme works. I feel blessed to serve like this, and I can’t wait to see how it’ll help me grow. This week, we’re going on exchanges with some elders, attending a district meeting and preparing for our MLC on Friday which we as assistants conduct, organize, and plan. We also are introducing a new training plan on repentance and presenting a different style of workshop for our leaders. We’re pretty excited about it. 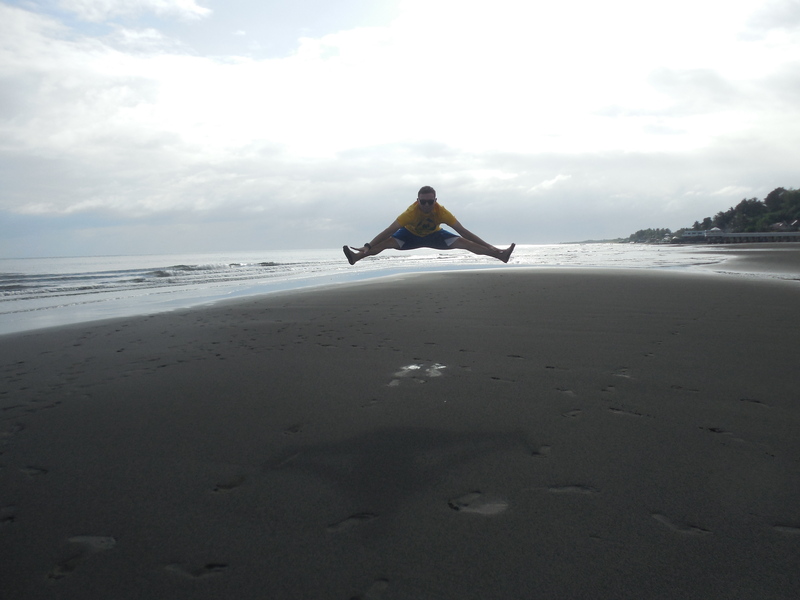 Elder Burbidge jumping for joy! I’m glad you all had a great Thanksgiving. We’re getting a pizza tonight that wouldn’t fit in the back of dad’s truck bed, so I hope you all think you got full eating turkey and mashed potatoes. I love you all and I hope you know that God loves all of you. If you don’t have a personal witness that He does in fact love you, ask Him yourself. ingat kau lagi. namimiss ko kau.